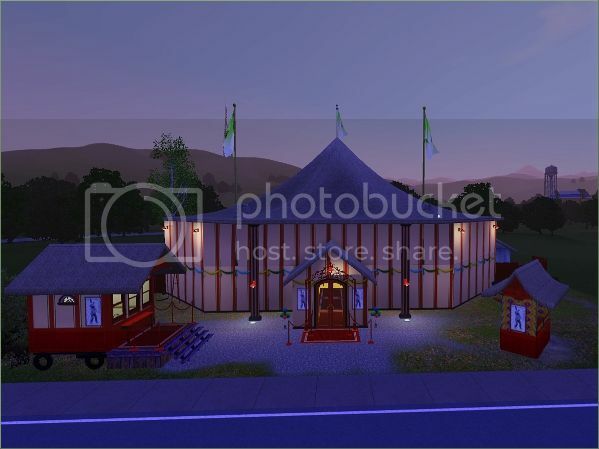 A night at the circus is great entertainment, and the sims just love it when Circus Anno comes to town! 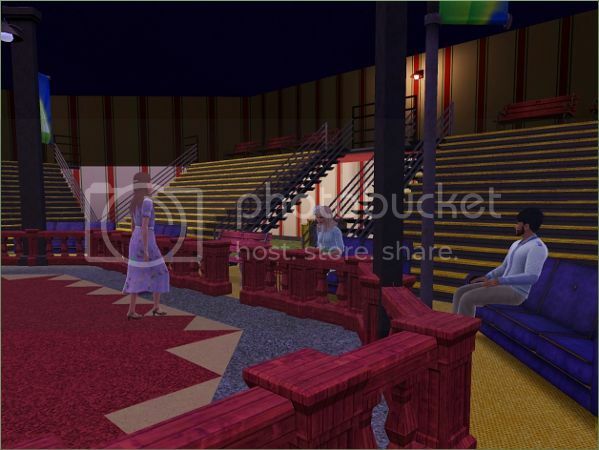 The performances are great, but it is even more exciting when the circus has "Open day" and your sims can walk around exploring the settlement and animals. They might even try to stand in the center of the menage themselves - and for a moment feel how it is to be one of the artists. Not to mention that it is a colourful and intriguing element in the town, with its bright colours and unusual people. 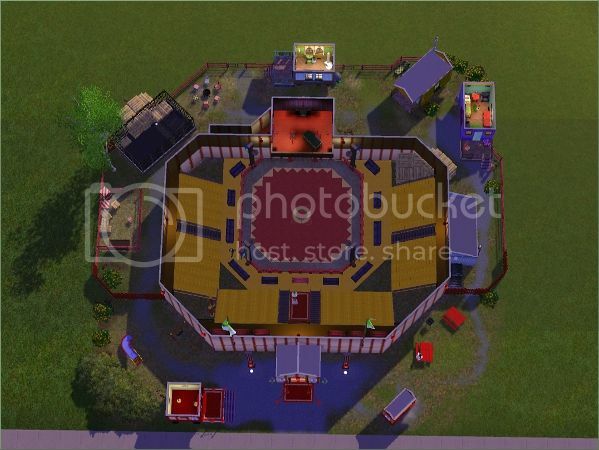 If you have the Pets EP, you can have your horses, cats and dogs "performing" in the manege! NOTE! The row of seats are stairs, and are for decorative purpose only, so are some of the wagons. 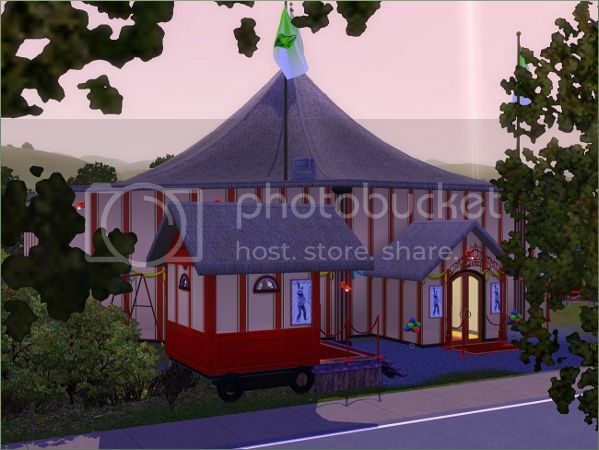 If you like, you can change the EA Social Bunny-posters with my Circus Anno posters. You might have to use the move objects cheat to place some of them. EPs: None. Only base game objects are used. SPs: None. Only base game objects are used. 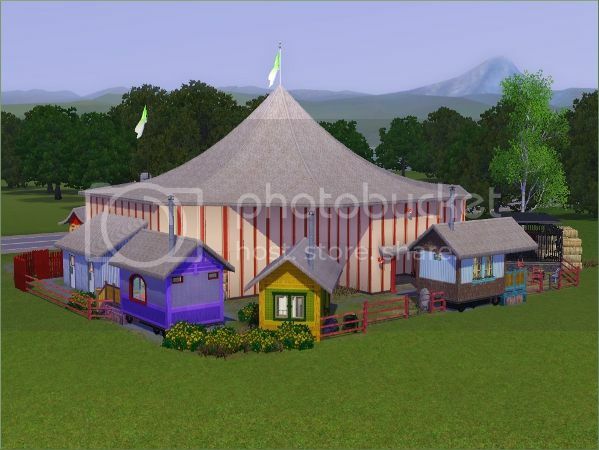 The circus was originally made as a donation gift at AnnoSims.net, but is now open for download.